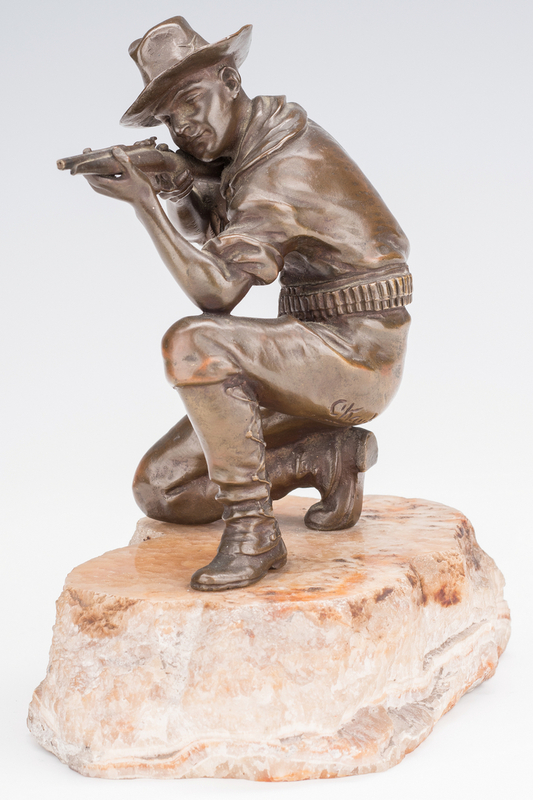 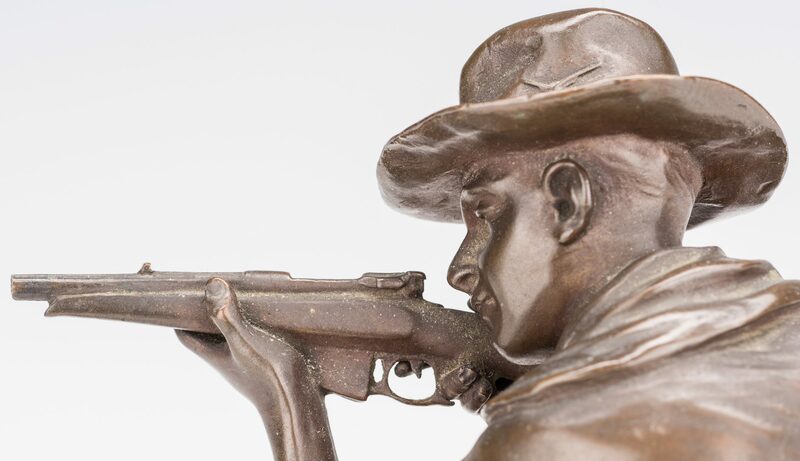 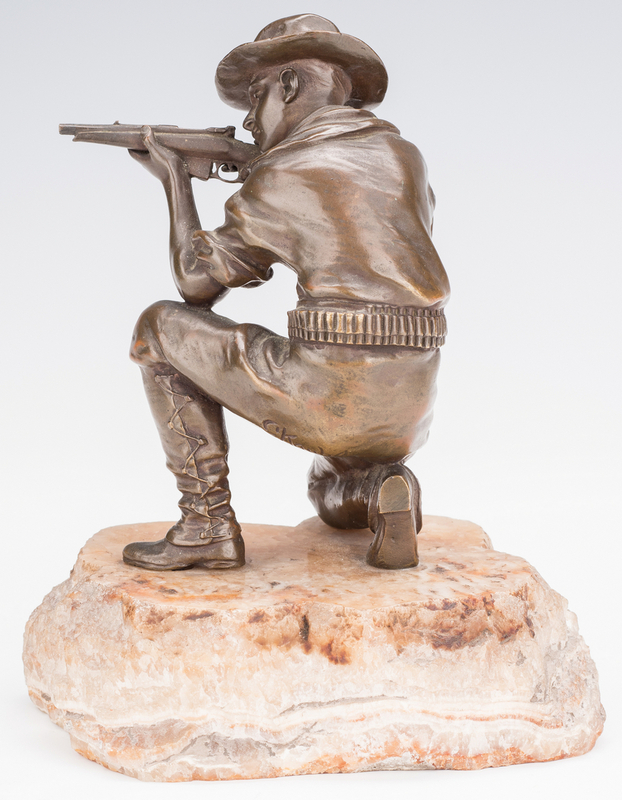 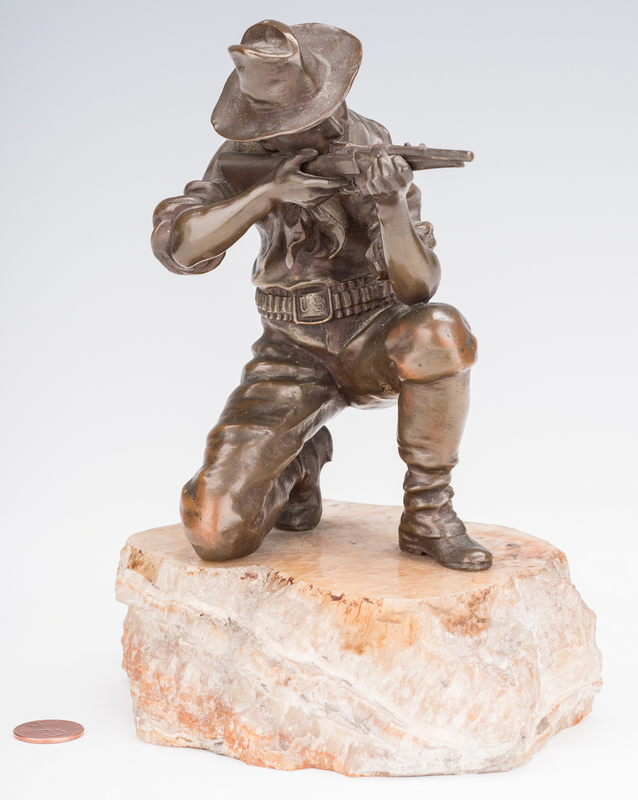 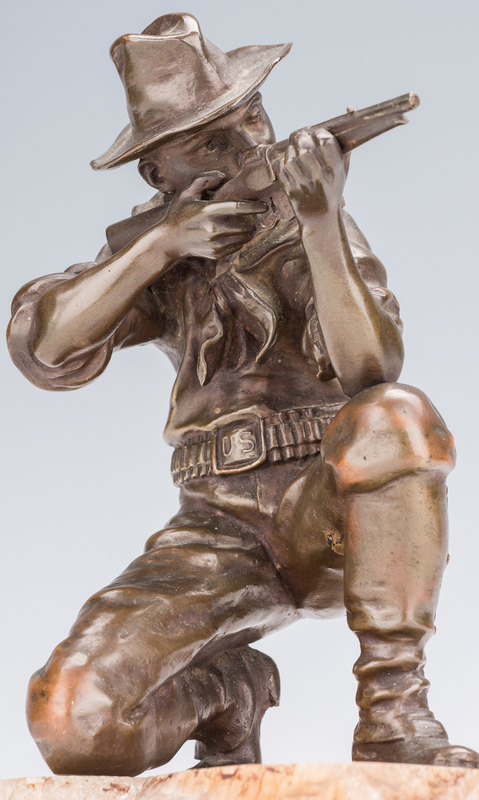 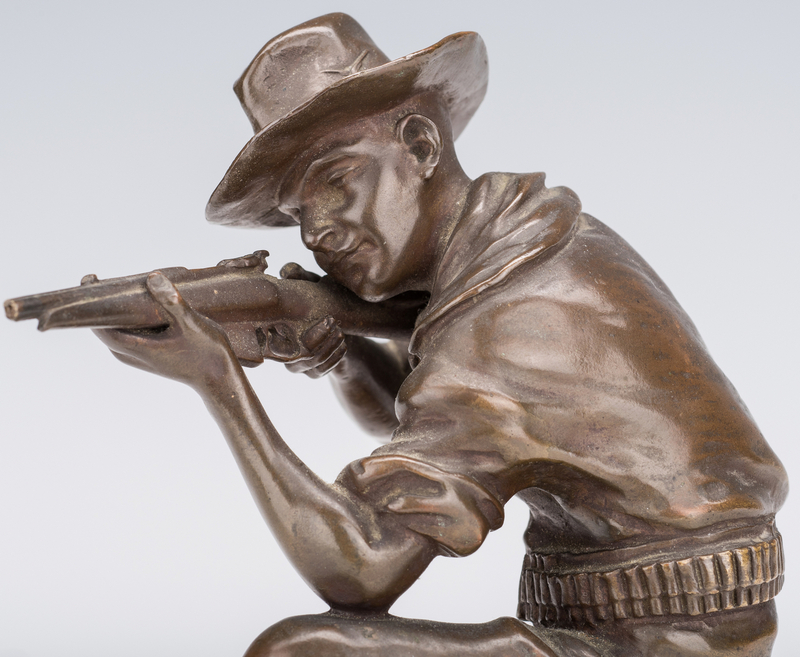 After Carl Kauba (American/Austrian, 1865-1922) bronze sculpture depicting a kneeling man firing a rifle. 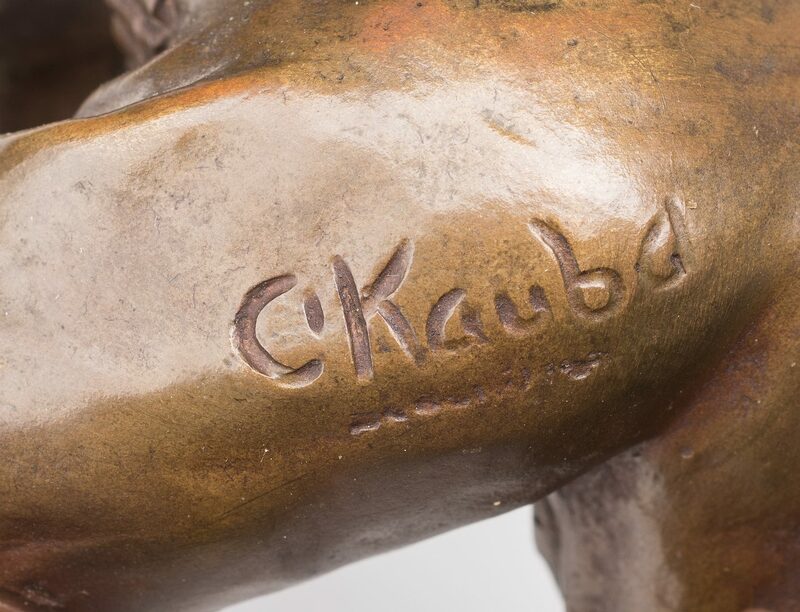 Signed C Kauba, back of man's left thigh. 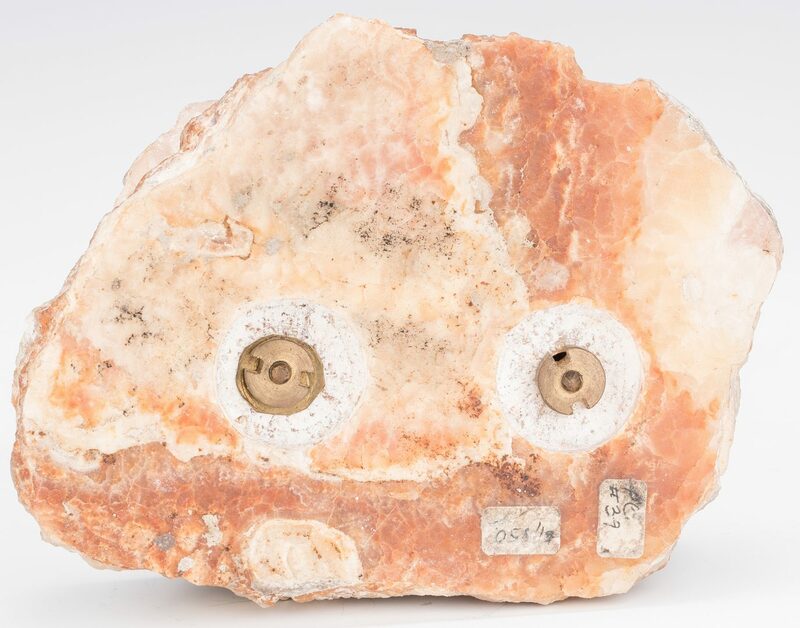 Two retail stickers, underside of base. 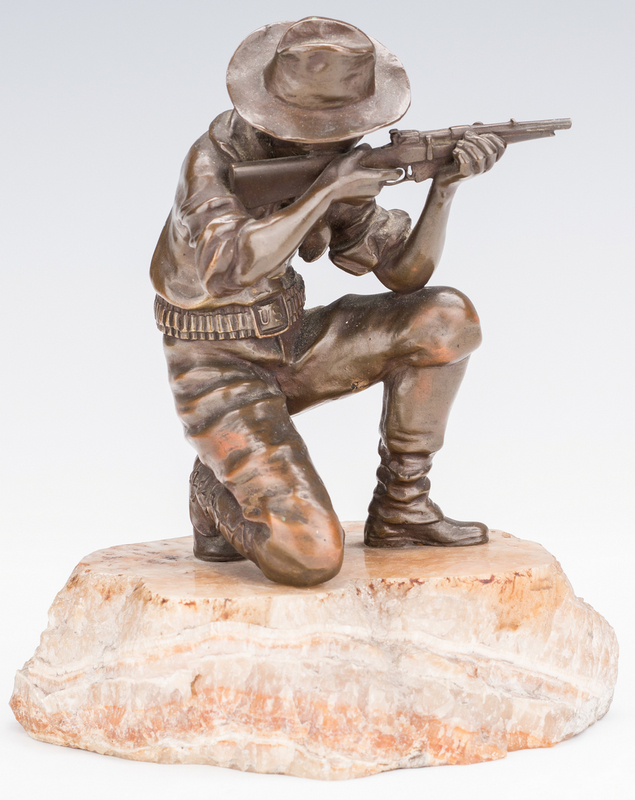 Mounted onto a tan marble base. 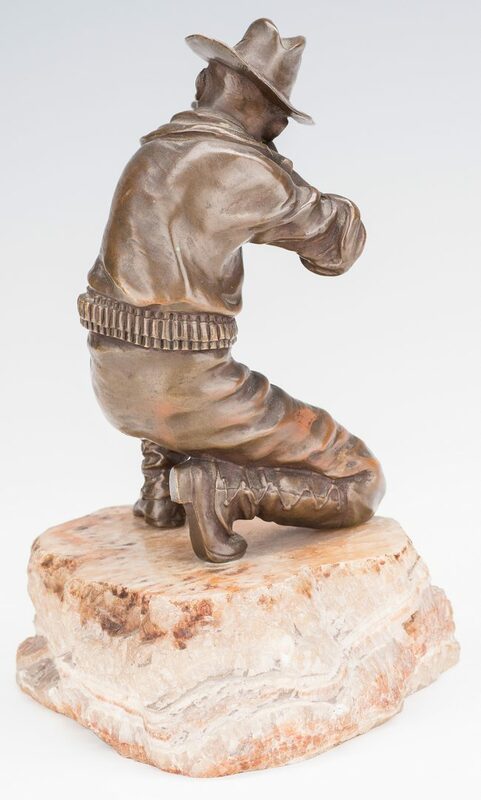 Statue – 5 3/4" H x 4 1/4" W x 3 1/2" D. Base – 1 3/4" H x 6 1/2" W x 4 1/2" D. Overall – 7 1/2" H. Provenance: The Estate of Larry Casey, Jackson, Tennessee. 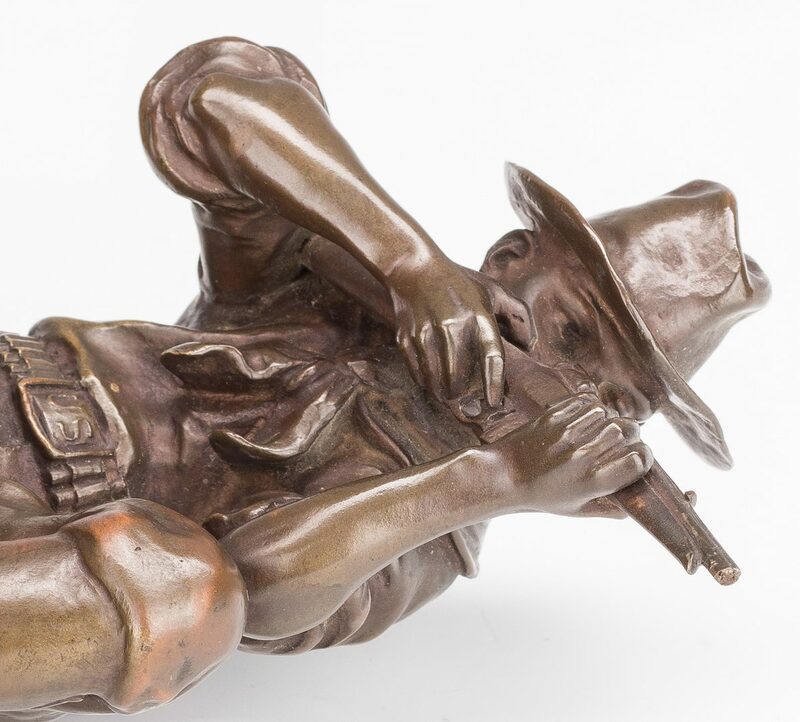 CONDITION: Loss to end of the rifle barrel of sculpture. 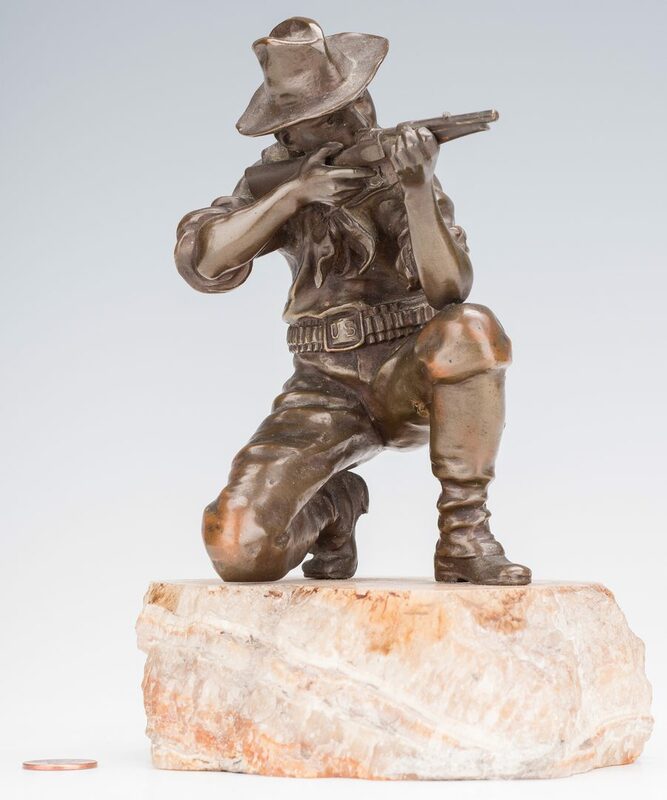 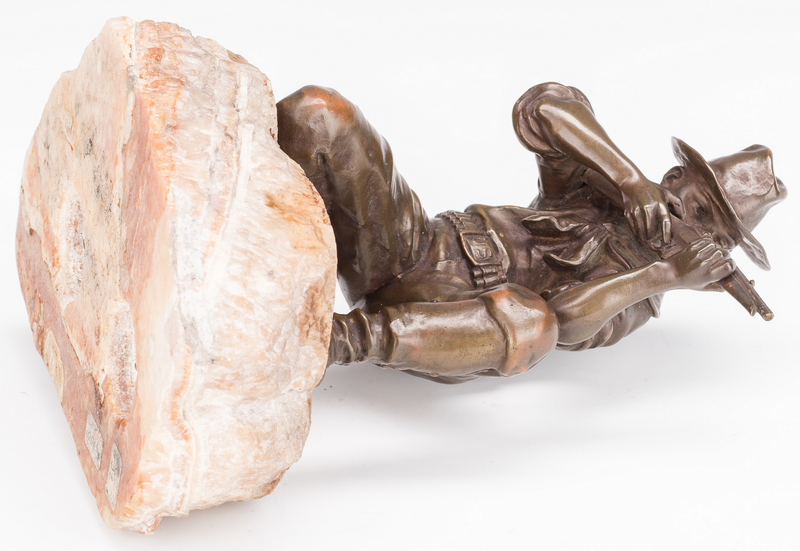 Statue loose on base.